Fort Knox has made $190 million in energy efficiency upgrades to building and infrastructure in the past decade and cut its power usage far more than any military base in the United States. Fort Knox energy management has undergone a remarkable makeover from a snafu of inefficient buildings served by antiquated systems several years ago to the new gold standard of the Army today. Commanders, administrators and energy managers at the 93-year-old garrison have slashed energy use 41 percent the past 20 years. Energy efficiency measures will save $10 million this year and more next year, they estimate. Fort Knox has changed its culture, akin to the transformation untold thousands of raw Army recruits have undergone in boot camp there over the years. A competitive atmosphere has taken hold. 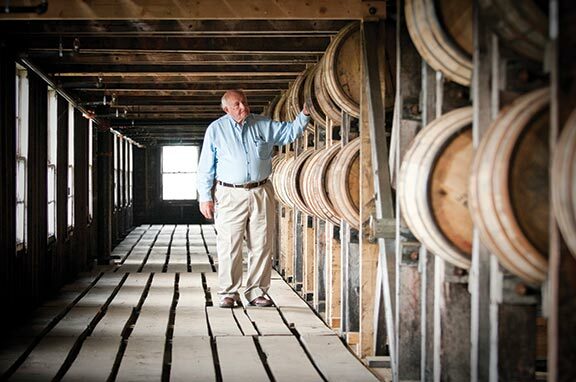 Fort Knox has won seven consecutive Secretary of the Army Energy awards. There is competition among buildings to improve. A 76-year-old building earned Energy Star certification (it uses at least 20 to 30 percent less energy than federal standards). All Army bases were mandated by 2015 to reduce their energy use 15 percent from 2003 baselines; Fort Knox did it by 2010. Other garrisons are calling for advice and to find out how Fort Knox won this battle. It did so with a holistic approach that attacked the problem on many fronts. Drafty older buildings went through refitting or were demolished to reduce the base energy footprint. Creaky and worn out equipment was replaced with high-tech, high-efficiency systems. With a little human help, intelligent monitoring technology watches over everything. “A different attitude has permeated the garrison,” Walsh said. What has been accomplished goes beyond finances and the environment, Walsh points out. “What we’ve done is take care of soldiers and their families,” he said. Established during World War I in 1918 as an artillery training center, the base was named in honor of Gen. Henry Knox, chief of artillery in the Revolutionary War and first Secretary of War. Some of its buildings dated to the earliest days, when energy management was essentially unknown. Among today’s 450-plus structures, 186 are historic. Service was uneven from building to building, even room to room. It all operated manually. The garrison had 50 employees whose jobs were to inspect, maintain and turn on and off the heating and cooling systems that had been installed, added onto, repaired and replaced over the years. The hospital alone had 11 full-time workers running its power systems; it now has less than one FTE. The utility budget was inadequate. The approach essentially was to operate a system until it broke down, then patch it back up. After the energy services contract went into place, the base could legally borrow the money – enough to redo it all. The giant central boiler with its tall chimney and the huge chiller were replaced with a geothermal system of ground-coupled heat pumps. Geothermal systems use the earth’s 50- to 54-degree underground temperature as a heat source in winter and a heat sink in the summer, tapping it via water circulated through special wells. 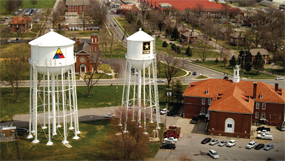 The base’s central well field includes more than 5,400 separate holes and 900-plus miles of pipe, said Robert “R.J.” Dyrdek, energy program manager with the Directorate of Public Works at Fort Knox. They tried drilling to various depths but standardized at 500-foot-deep holes spaced 20 feet apart, he said. A parking lot covers the main base well field. For geology at the garrison, the first 50 to 70 feet is the high-risk zone where drilling sometimes encounters voids or water, Dyrdek said. Beyond that is consisten shale and clean sailing. The geothermal wells only have to be large enough to accommodate pairs of 1.5-inch polyurethane pipe through which the water circulates. 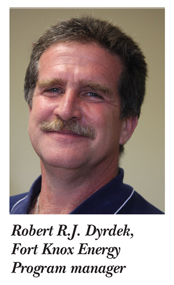 Dyrdek explained that polyurethane is more flexible than the PVC common in home plumbing and tolerates the minor shifts that Kentucky substrata experiences. It is durable and does not corrode, resulting in long life, estimated to be at least 50 years. So far, the small handful of breaks in Fort Knox’s miles of geothermal pipe have occurred only in the header sections tying the wells together just a few feet underground. Modern closed-loop geothermal systems have been around since the 1940s. J. Donald Kroeker designed the first commercial geothermal heat pump for the Commonwealth Building in Portland, Ore., in 1946, and professor Carl Nielsen of Ohio State University built the first residential open-loop version in his home in 1948. Geothermal systems remained rare and were considered eccentric into the 1990s. By 2004, one million systems were in use worldwide. Walsh said Fort Knox’s success has vanquished any residual stigma that remained, and now other U.S. military bases in the Southeast are installing geothermal systems. Today’s Army is good about sharing information, according to Walsh. 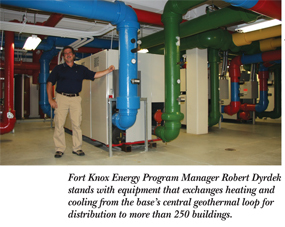 Exchanging energy from its central core geothermal loop, the system installed by Harshaw Trane has the flexibility to distribute heating and cooling capacity and follow changing load demand from building to building and room to room all over Fort Knox. There is, of course, a computerized “brain” at the core of the system. Fort Knox operates one of the nation’s largest building automation systems, with a control center overseeing about 7 million s.f. in 275 community buildings. The Intelligent Services system put in place by Harshaw Trane manages energy consumption, conducts diagnostics and gathers intelligence. Intelligent Services analytics can quickly display energy use metrics on the control room’s large wall-panel screen – an energy-use comparison of two buildings, comparison of a building’s present and past usage, chart it against baselines, present usage by square footage and more. Building occupants, of course, can call in complaints or report any problems. Meanwhile, the control system operator regularly tracks through data on each building and the overall system to monitor performance. Buildings and individual rooms each have a system-specific ID. 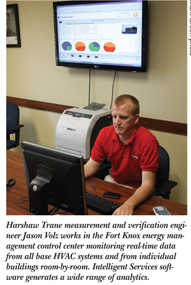 Measurement and verification engineer Jason Volz of Harshaw Trane demonstrated how operators can see air-discharge temperatures and that of system water leaving a building to a tenth of a degree. Harshaw Trane’s service vans have wi-fi Internet and can assess the same info from outside buildings they are near on base. The federal Energy Policy Act of 2005 requires submetering for electric and gas by 2012. Fort Knox has 540 electric and gas smart meters that make readings a minimum of every 15 minutes. The central system monitors all meters, compiling and analyzing data on how much energy all individual buildings use over time. It detects any HVAC failure and alerts to energy use problems. When problems do arise, the system offers technicians immediate access to the operator manual and all service bulletins for every piece of Trane equipment ever made, Volz said. With many of the HVAC and building improvements having been made, the Harshaw Trane Intelligent Services system is put to use identifying abnormal energy usages for individual buildings. Technicians are sent to find out why, and Dyrdek said they have tracked unusual usage to outer doors left open during a furniture movement project and exhaust fans left on; the latter was causing $400 to $500 in monthly charges for one building. Base energy managers are seeking to identify and lower each building’s top 15-minute demand usage period. In addition to costs for their cumulative total energy usage, commercial customers pay a demand charge based on their peak usage measured in 15-minute increments. The demand charge is 51 percent of Fort Knox’s average $1 million monthly bill, which ranges from approximately $800,000 to $1.4 million. 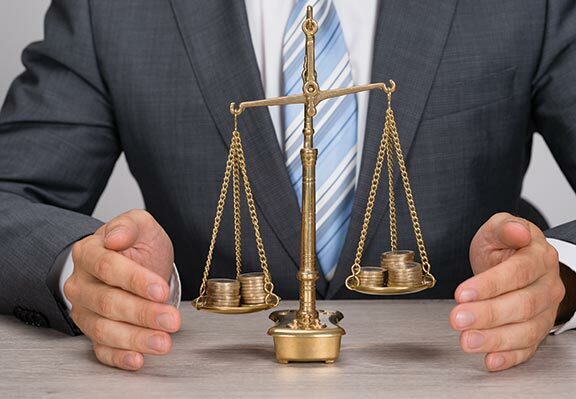 Identifying and flattening those 15-minute peaks can yield big dollars. It’s a challenge. There are 41,000 residents and employees at Fort Knox who all use power but don’t pay the bill themselves. 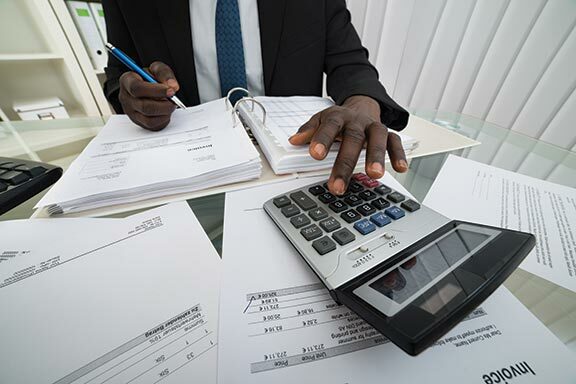 Commanders and managers are seeking to create incentives, however, by establishing baseline targets for a building, then factoring the exact dollar cost of missing a target into the budget for its user. Overspending on energy must be offset by cutbacks in other budget line-items, even eliminating an employee. The base is setting up reward systems for buildings and barracks as well. One method will be installing kiosks at the entrance of buildings displaying energy usage. They can be linked to a Google gadget managers and workers can install on their smart phones to access energy use data. Plans call for trying them in five or six buildings, which will cost $3,000 to $4,000. With access to daily data, managers will be encouraged to operate at Energy Star standards, to wonder why their building efficiency fluctuates and become more aware of energy use. Fort Knox wants to engender an efficiency competitiveness among buildings. 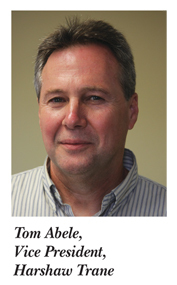 Under baselines today, an individual building power usage of 40,000 kWh/year is good and earns an Energy Star rating, and 115,000 kWh/year is bad, Harshaw Trane vice president Tom Abele said. 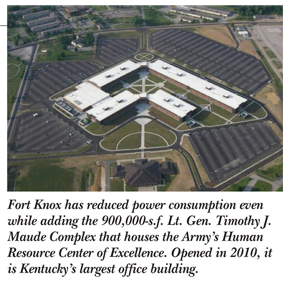 Fort Knox formerly had buildings using 280,000 kWh but now has many in the 40s. The top new buildings with efficiency measures designed in are in the mid-20s. Six Fort Knox buildings now have Energy Star ratings, Dyrdek said, but officials believe about 115 could qualify. 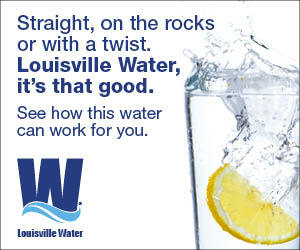 Certifying them as such would be costly because of the labor and time required for the certification process, he said. 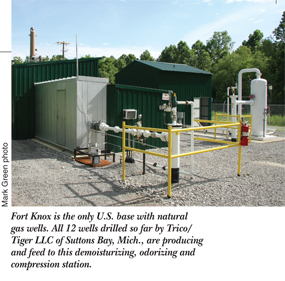 Meanwhile, Fort Knox now also has 12 natural gas production wells, the only military base in the nation with that distinction. Each well drilled by Tiger/Trico beginning in January 2009 has been productive. The wells feed to one compressor station that demoisturizes and odorizes the methane and feeds it at 50 psi into the base supply lines.